Scott Jacobs co-authors major IFC Report with Peter Ladegaard of the IFC. 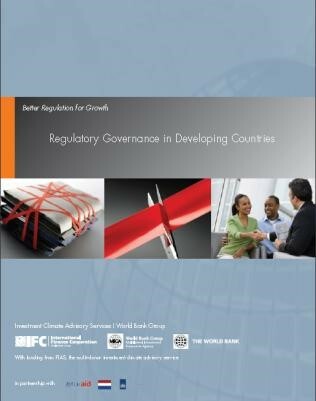 This report introduces key components of the evolving regulatory governance agenda, and discusses its relevance to developing countries in promoting sustainable growth and private sector development. The paper identifies failings and knowledge gaps in the implementation of regulatory gover nance initiatives, and discusses how lessons learned can guide reformers and donor organizations to promote sustainable growth and private sector development through better and more efficient regulation.